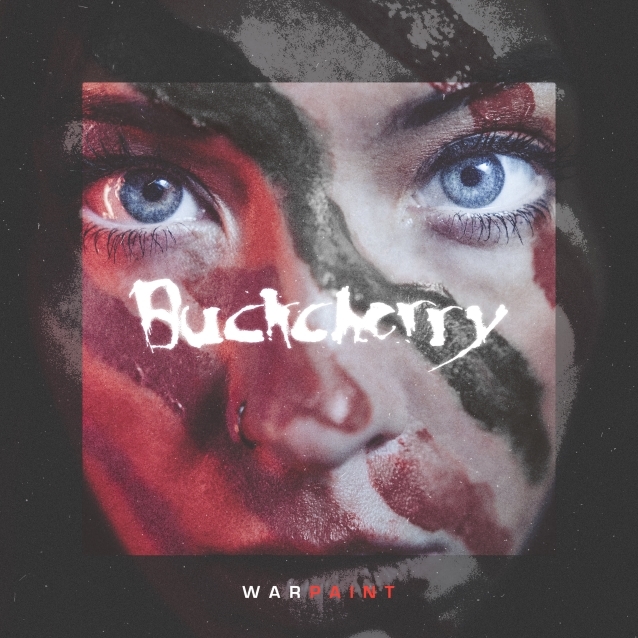 “Warpaint”, the title track of the new album from Californian rockers BUCKCHERRY, can be streamed below. Due on March 8 via Century Media/RED Music, the 12-song disc, featuring 11 new BUCKCHERRY songs along with a cover of the NINE INCH NAILS classic “Head Like A Hole”, was produced by Mike Plotnikoff, whose last collaboration with the band was the platinum-certified album “15”. The album art was created by Aaron Marsh and can be seen below. Ruiz previously worked as a drum tech for such acclaimed drummers as Paul Bostaph (SLAYER), Charlie Benante (ANTHRAX), Mikkey Dee (MOTÖRHEAD), Tommy Aldridge (THIN LIZZY), James Kottak (SCORPIONS), Jeff Fabb (BLACK LABEL SOCIETY) and “Wild” Mick Brown (TED NUGENT). He also filled in for Dee in 2009 during a MOTÖRHEAD tour in Canada.